Wesley Memorial Church served as one of the venues for the Oxford Folk Weekend. 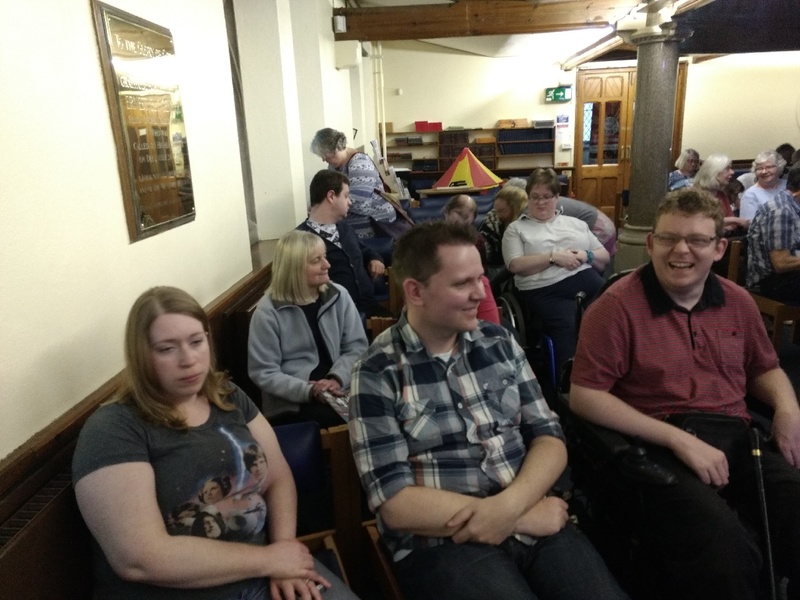 We met, as usual, in the John Wesley Room, but this was doubling as a cafe for the occasion, so some members bought a snack or a drink, and admired the stalls selling accordions, and other Folk related items. 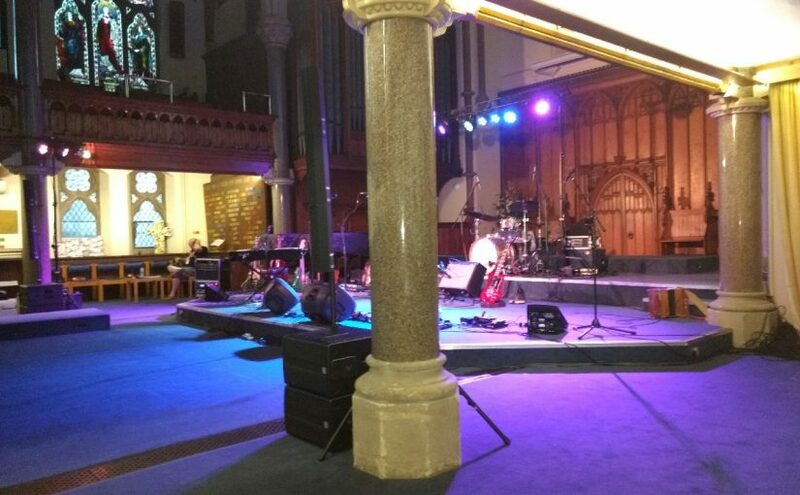 We then went though into the sanctuary, which had been transformed into a music venue, and listened to The Skeptics, and then after an interval False Lights. We are very grateful to the bands, and the the organisers of the Folk Weekend for a very enjoyable evening. Next Next post: Let's Zumba !